If you want a safe, guaranteed Pick Up at the airport¡ We are your option. We can pick you up anytime at the airport and provide a safe travel to Antigua, no matter the size of your group, without luggage restrictions, with professional drivers. If your flight is late no worries. 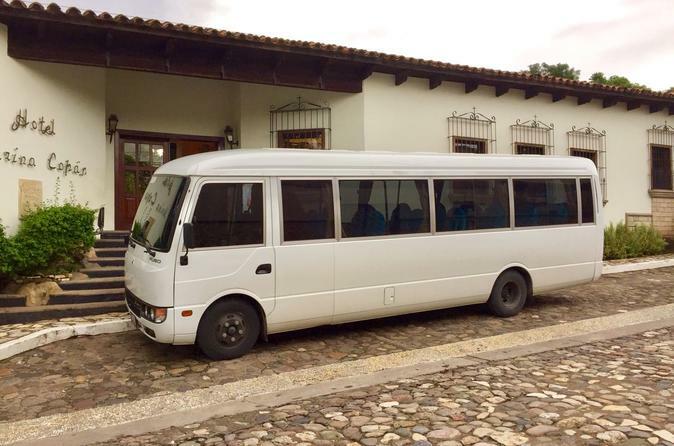 We wait until you arrive to La Aurora Airport just provide us with all your flight information and we will handle your trip to La Antigua Guatemala. We´ll arrive to the airport before flight arrives to Guatemala. In case we can not we´ll bring the bus to the terminal to pick you up. We´ll be standing with your sign outside of the airport (please be patient as sometimes there is lots of people outside). We´ll give you time to use bathrooms or buy a cup of coffee before departure (not included). We can make a quick stop at a fast food restaurant in case you are hungry and need something to eat on the way (not included). The trip will take around an hour to get to Antigua (depending on traffic conditions). Sunset arrivals normally require more time to get to Antigua. Please note that sometimes streets are close so we will make our best effort to leave you as close as we can. We will provide you with maps and information about Antigua and other locations if necessary.